Calcutta, 1967. Unnoticed by his family, Supratik has become dangerously involved in extremist political activism. Compelled by an idealistic desire to change his life and the world around him, all he leaves behind before disappearing is this note . Ambitious, rich and compassionate The Lives of Others anatomises the soul of a nation as it unfolds a family history. A novel about many things, including the limits of empathy and the nature of political action, it asks: how do we imagine our place amongst others in the world? Can that be reimagined? And at what cost? This is a novel of unflinching power and emotional force. Neel Mukherjee’s second novel, The Lives of Others (Chatto & Windus), is out in May 2014. His first novel, Past Continuous (Picador India, 2008), was joint winner of the Vodafone-Crossword Award, India’s premier literary award for writing in English, for best novel of 2008 (along with Amitav Ghosh’s Sea of Poppies). The UK edition of the novel, titled A Life Apart, was published by Constable & Robinson in January 2010. It won the Writers’ Guild of Great Britain Award for Best Fiction and was shortlisted for the inaugural DSC Prize for South Asian Fiction and the Southbank Sky Arts Award. It was also chosen as a ‘Book of the Year’ in The Times, The Daily Telegraph, The Independent, The Guardian, the TLS and The Sunday Telegraph. He has reviewed fiction for The Times and TIME Magazine Asia and has written for the TLS, The Daily Telegraph, The Observer, The New York Times, Boston Review, The Sunday Telegraph and Biblio. He is also a contributing editor to Boston Review. 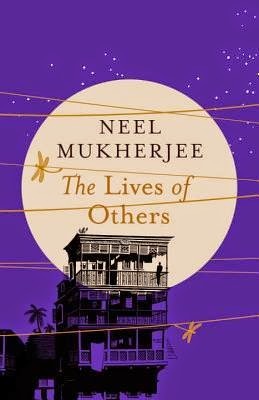 It was very accidently that I got introduced to Neel Mukherjee’s writing. I read his first book Past Continuous with a lot of mixed mind-set, perhaps to judge him and give him a tag. The only tag I could give after that book was brilliant. So when this month’s review list had his name I almost did a small happy dance. Having devoured his writing before this book for me was like a treat. And needless to say the glutton in me enjoyed it till the last bite. The author has an amazing grasp on the language and that makes his narrative extra ordinary. Usually when you begin reading a book you have some idea about what tone is it all set it through the blurb and otherwise. But here the author just keeps surprising you and not through any suspense or twists but by the sheer beauty of life. Where do you see yourself amongst others in the world? Is a question that I am sure haunts each one of us and yet the manner in which the author has used this as a base to narrate such a powerful story is just mind boggling. The whole story revolves around Supratik and is set in Calcutta of the year 1967. The author has ensured his words act like a time machine drawing you to that time, making it all come alive before your eyes as you are left spell bound by its grandeur. More than just recommend, I urge you to read this spectacular piece of writing to know what a masterpiece is like! 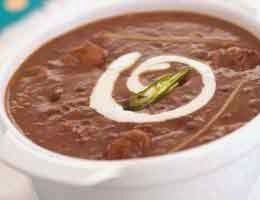 This book is like Kali Dal - my most favourite thing which I can have bowl after bowl for eternity. For this book is like this you can read it countless times and still find something new and magical about it.